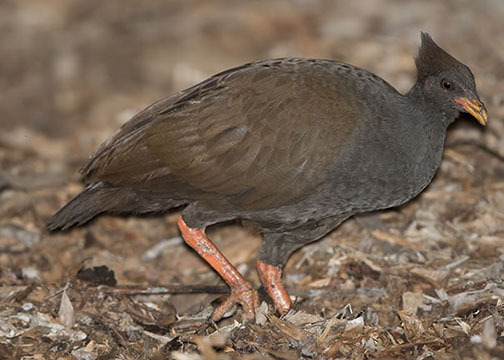 Orange-footed scrubfowl, like Australian brush-turkeys, are megapodes. 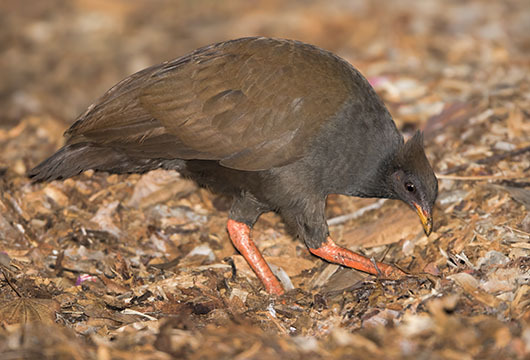 'Megapode' means big foot, and the males use their large feet to scrape up huge mounds of dirt, humus, and fallen leaves, in which the eggs are laid. 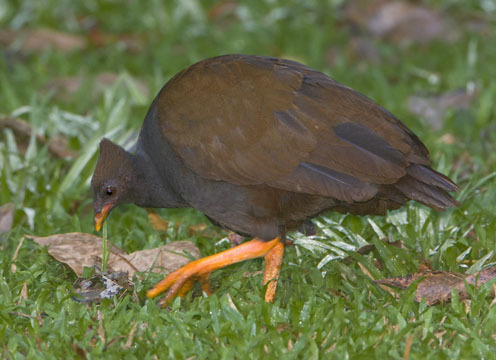 The decaying vegetation produces heat that warms the eggs and serves as an incubator; the attending male periodically checks the temperature, adding or deleting compost as needed. 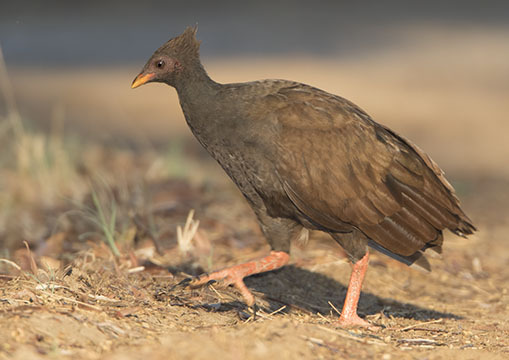 The chicks are the most precocial of all birds: they can fly almost as soon as their plumage dries, and no parental care is provided. 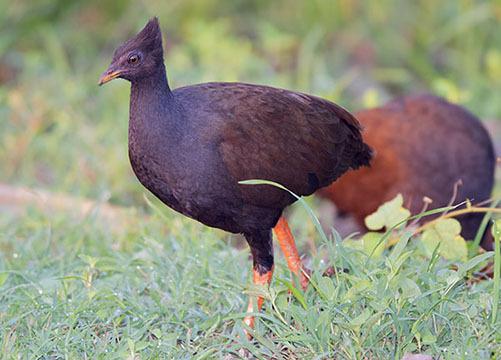 Chicks dig themselves out of the mound and are on their on from then on. 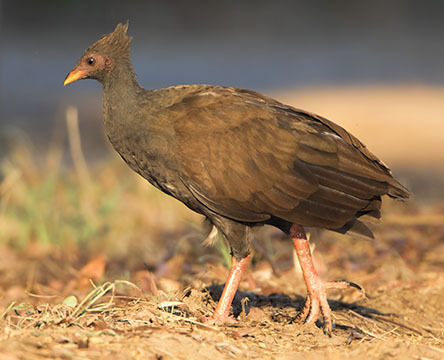 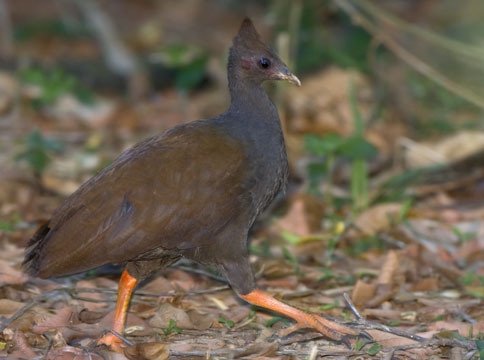 Orange-footed scrubfowl are common and very noisy in northeastern rainforests, crowing and cackling like chickens. 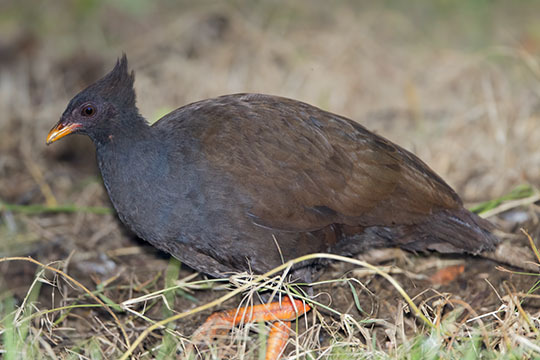 They have very big eyes to help find their way around the dark rainforest floors they inhabit. 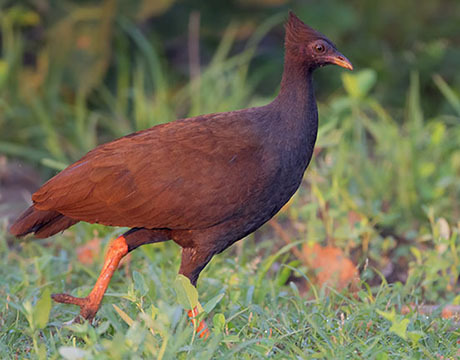 These were photographed in Kingfisher Park in Julatten, far north Queensland, and near Darwin in the Northern Territory.